Made from synthetic fiber yarns which are stronger than natural fibers. 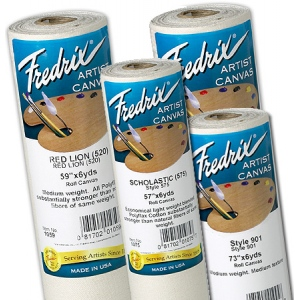 * This collection of canvas rolls are prepared with acid-free acrylic titanium priming. * Ultrasmooth 11.5oz primed 6oz. unprimed.